I’ve been trying to get rclone to run for a few days, but I can’t get any further. I have made the following configurations with the instructions given here on a Proxmox LXC. Proxmox also runs Plex on an LXC (pve 100) and Rclone on a separate LXC (pve 101). With the following command I only get an error message. I have already restarted all containers and the complete server, but unfortunately this didn’t produce any results. 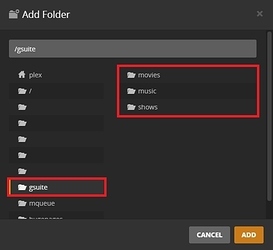 No folder is created in the Google Drive and no suitable directory is found in Plex. How do I get it to run, do I have to install it on the host (pve), or go another way? How do I transfer files via rclone? Can I sort files online if I show the real names during encryption? 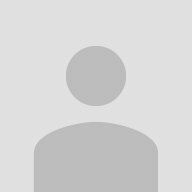 That is saying that the plex_url is in the incorrect format. It needs to be a URL something like http://192.168.188.101:32400/ (but I don’t use plex so not 100% sure if that is correct). But now I have another problem with “FUSE”. You should check with the proxmox folks as that’s part of their package on how to add it. I’ve never used it and not familiar with it. I’m using rclone on a Proxmox server and have been doing so for a few years. Because getting FUSE to work correctly in an LXC is a bit cumbersome, I’m handling the rclone mount services on the Proxmox server itself (ie, not in an LXC) and then passing those mounts on to the LXC(s) that need them. This has the added bonus of ensuring that the mounts are up when the server comes up and before it starts any of the containers. In most, if not all cases, you can do any of your utility functions from within the containers since they won’t need FUSE. and I skipped the part with Plexdrive. I also transferred some files for testing purposes. 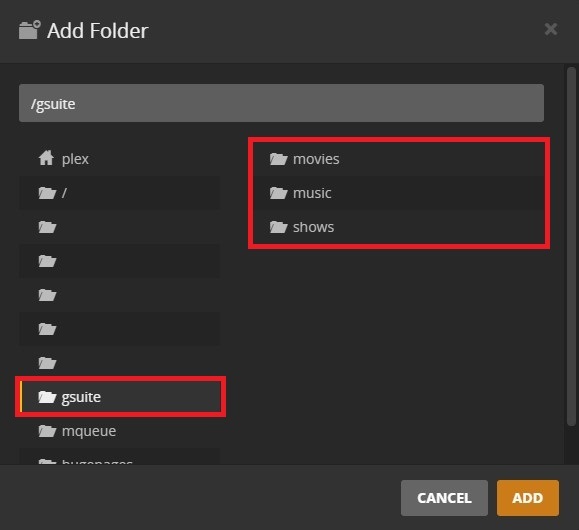 In addition, under Plex (LXC), the drive and the created folders are also displayed. BUT it doesn’t show on the GDrive. Obviously rclone does not upload the files and only saves the files locally. Where the path on the left is where the volume is mounted on the Proxmox host and the path on the right is the location you want that mount to appear within the container. Assuming those are all correct and you’re seeing the files, then what remains is likely an issue of permissions. From within the LXC, can you “touch” a new file on the remote? IE, in my example above, I’d “touch /Google/ken” and the file will appear on the G-drive as well as in the mount point on the host and container. I’m using MergerFS overlaying the actual rclone mount so that’s what’s handling all my writes and then a script runs every 15 minutes on the Proxmox host to move those new files to Google so its not 100% apples to apples here. But if you can see the files from within the LXC but can’t write back to them, I’d start looking at how the user permissions are mapped between the host and the container. I have tried to rework anything for the last 6h, but no better result. @kelinger do you have an installation guide or something like that for your installation? OK, with the “touch” command, I was talking about doing this inside the LXC. So, in the LXC itself, as root, you have a /gsuite directory, right? Does that work or give an error. Do you see the file on the root of /mnt/gsuite/media on the host? Next, login to your LXC as the non-root user you’re trying to use. Can you try the same command as above? I have "touch" as you said. The file can be seen in the host, no errors. I do not have a non-root user for the LXC. As I said, I see the file in Plex (and therefore also in the LXC). The problem is that rclone does not synchronize the files with the GDrive. So far I've tried this with ~1GB on files, but it doesn't show anything in the cloud. I'll try it again from the beginning, without the scripts. I also managed to copy files to the GDrive (finally). Also, the files I uploaded are NOT encrypted (I setup the crypt). On the host, what user is running the “rclone mount” command? Is it possible that you copy your settings from Proxmox into this thread (or as PM)? Hi @kelinger, I just want to ask if there is a chance for some more help from you? First, my apologies. It’s been a busy couple of weeks. I didn’t intend on leaving you hanging! A moment of truth: I stopped using LXC for my Plex configuration about a year ago and went with Docker. However, I did have this mapped and working from LXC so I’ve recreated this configuration for the purposes of this response. In doing so, I discovered that the important step I didn’t mention earlier is that the container be created in “privileged” access, not unprivileged. There is likely a method to get unprivileged working, but it was either specific to UIDs or added a lot of steps or both. Basically, on the host, I have my Google mounted with rclone mount commands to /home/kelinger/Omni/mnt/GoogleCrypt and then remount it with MergerFS and some local directories to /home/kelinger/Omni/mnt/Google. Thus, I’m passing that read-write directory from the host to /Google inside the LXC. 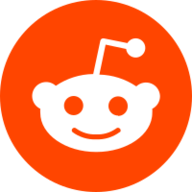 (this is assuming that the user created has UID and GID 1000; you can create the group ahead of time and use parameters to force adduser to use 1000/1000 if those are available, which they should be on a fresh LXC). A quick test of rm testfile shows that I can also delete files from the mount within the LXC. Are you able to replicate the process above on your system successfully? Thank you for the response, I will try it the next days.